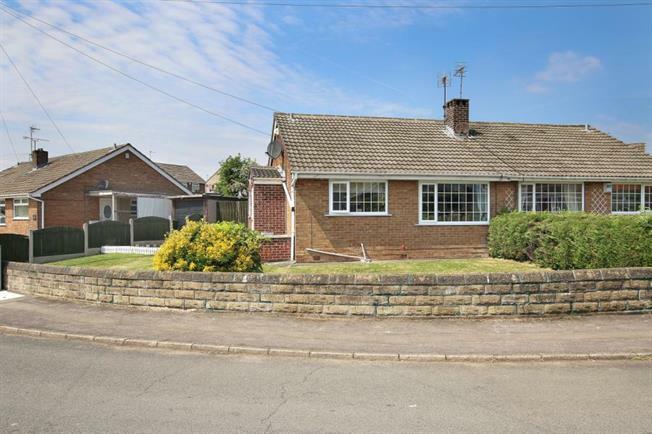 2 Bedroom Semi Detached Bungalow For Sale in Rotherham for Guide Price £140,000. Early viewing is recommended to appreciate this contemporary style semi detached bungalow. Positioned on and ENVIABLE CORNER PLOT POSITION with two double bedrooms, drive and garage, popular location. As selling agents Blundells are proud to bring to market this two double bedroom, semi detached bungalow, situated on a larger than average corner plot and located in this popular location. In brief the property comprises of entrance porch, hall, lounge / dining room with feature fire place, fully double glazed windows and doors, fitted kitchen with a range of wall and base units finished in beech effect, two double bedrooms, master with fitted wardrobes, bedroom two with French style doors to garden and family bathroom. Outside to the side of the property there is a drive, garage with gardens to front, side and rear. Viewing A Must, Book Today ! !